Touch the ‘+message’ area at the bottom of the screen and enter your message using your device’s keyboard. Tap ‘send’ on your device’s keyboard to send the message. You can leave messages to your pals even if they are offline. They will receive your message when they log in. 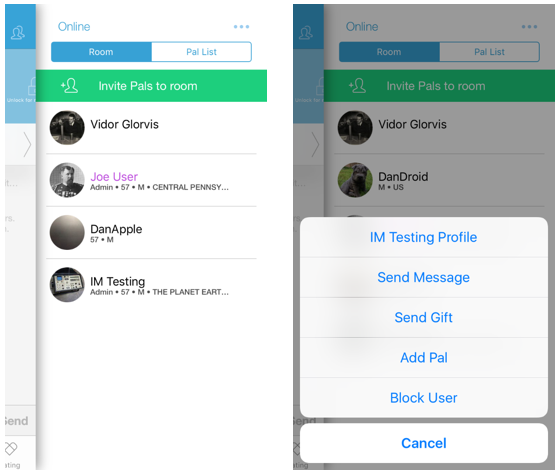 You can also tap on any user in a group participant list to initiate a message. Open the participant list by clicking on the ‘people’ icon (it looks like two people) near the top right of the screen when in a chat room. 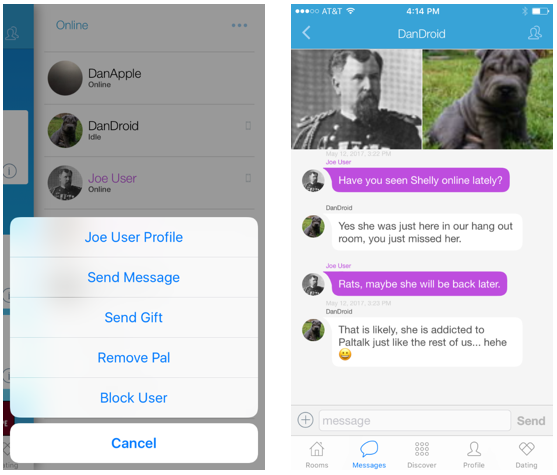 Now tap on any user name and then select ‘send a message’ from the menu that appears.